What's Trending this Week: One Pan Wonders! 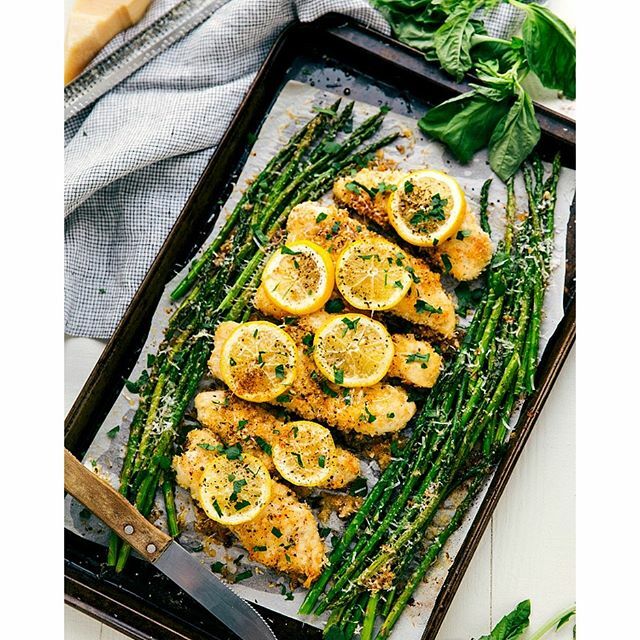 The time has come to show some love for the humble sheet pan. While shiny stainless steel or brightly colored enamel wear tend to hog the spotlight, those dinged up, dingy sheet pans are the true kitchen utilitarians. So grab your favorite baking tray (no matter how beat up it is) and we'll show you how to cook for the whole week using just one pan! 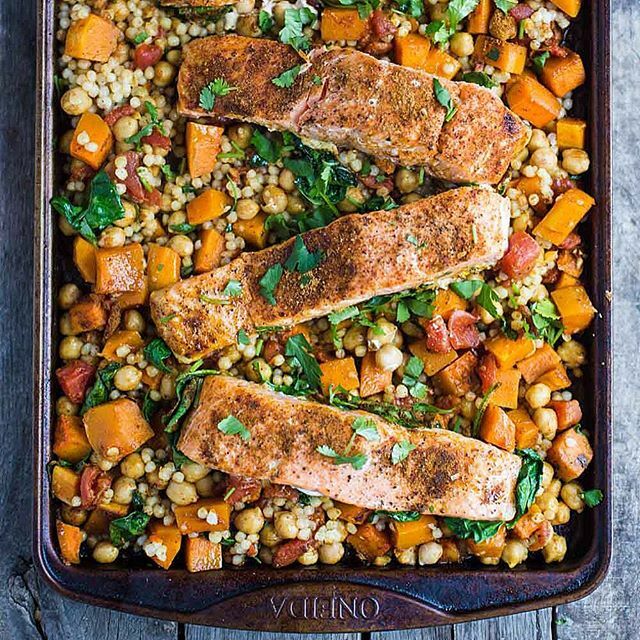 Sheet Pan Salmon with Squash and Couscous by @b.britnell. Roasting the salmon is more forgiving than sautéing and makes clean up much easier as well. Use this recipe as a guide and swap in whatever seasonal veggies you have on hand throughout the year. Just in time for spring, this lightened up comfort food classic comes together in just 40 minutes. With a little prep-work (and your same trusty sheet pan) you can prepare healthy and delicious lunches to enjoy throughout the week. 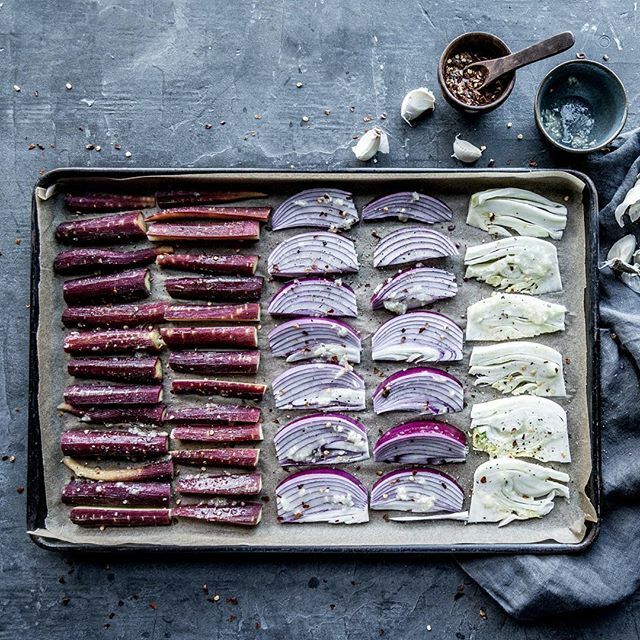 Roasted vegetables can go into everything from grain bowls to sandwiches and even salads. These are a great combination for Spring, but experiment with your own vegetable blend using this quick & easy roasting technique. These make a great snack and add nice texture & protein to midweek salads or work as an alternative to croutons in soup. Whether you're looking for a make-ahead option, a quick & easy weekday breakfast, or a great brunch recipe for a crowd, your baking sheet is sure to become your new breakfast BFF! 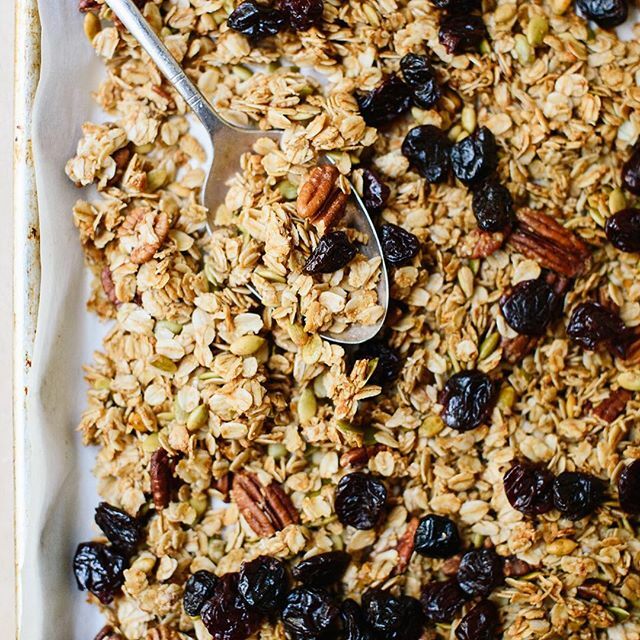 DIY Healthy Granola by @cookieandkate. The best part about this healthy granola recipe is you can customize it your taste and it stays fresh for up to 3 months in the freezer. Make a double batch and take a little out each week to use for breakfast as cereal, on top of yogurt or even blended into a smoothie. 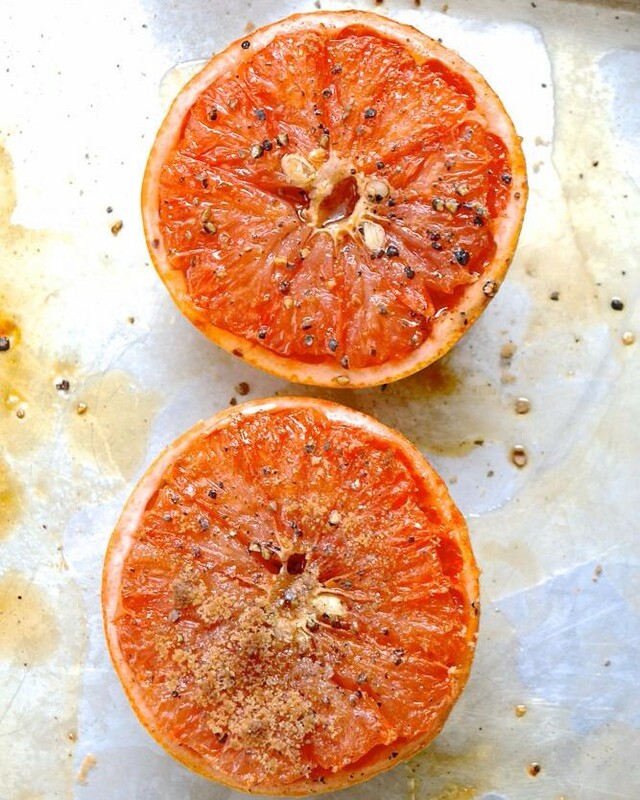 Brown Sugar Roasted Grapefruit by @ciaochowbambina. As citrus season comes to a close, use up the last of your grapefruits for a quick & easy breakfast treat. Roasting the grapefruits enhances the juiciness of the fruit and the addition of brown sugar makes a delicious crackly crust. Need more ideas for the last of your grapefruits? Check out our citrus collaboration with @ediblemanhattan here. 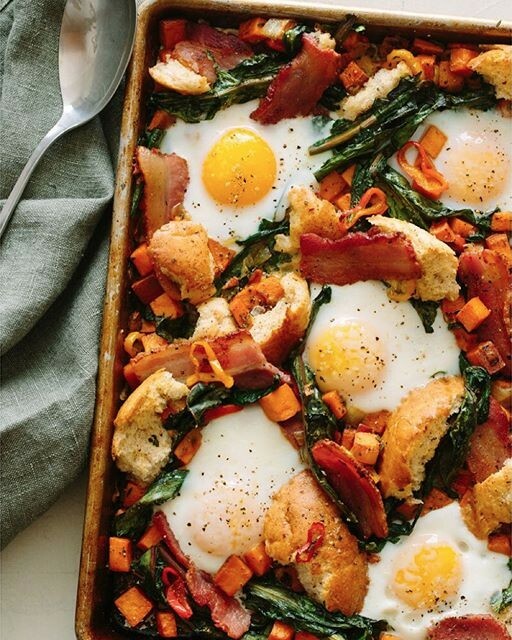 Eggs, Bacon and Greens Sheet Pan Breakfast Bake by @spoonforkbacon. Make brunch at home a breeze! Just toss everything in the pan and bake for about 25 minutes. A great way to use up leftover bread or vegetables hiding in your crisper drawer! Last but not least... Dessert! 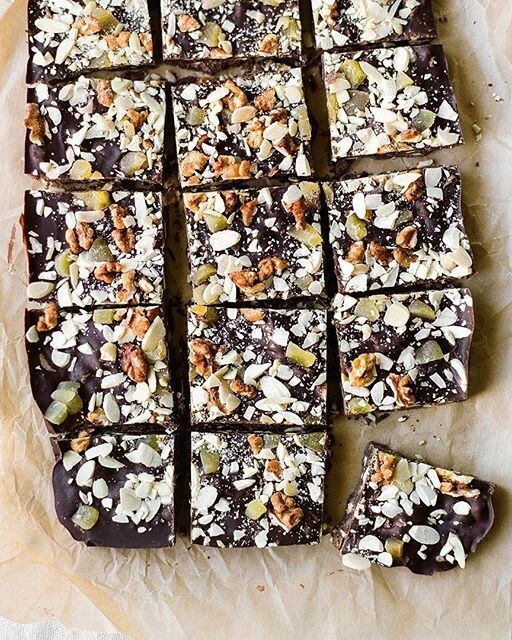 Ginger, Walnut, Almond And Dark Chocolate Bark by @constancehigley & @laurenkelp. Quick, easy, and you don't even have to turn the oven on! Ok, so this may require a few extra dishes, but we promise, it's totally worth it! 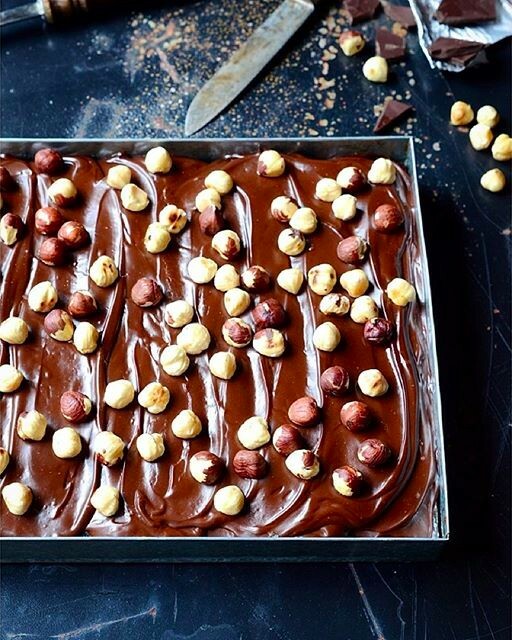 This classic chocolate sheet cake gets bathed in an evaporated milk and chocolate concoction then topped with rich ganache and toasted hazelnuts. We have a new Instagram Account Dedicated to ALL things CHOCOLATE! 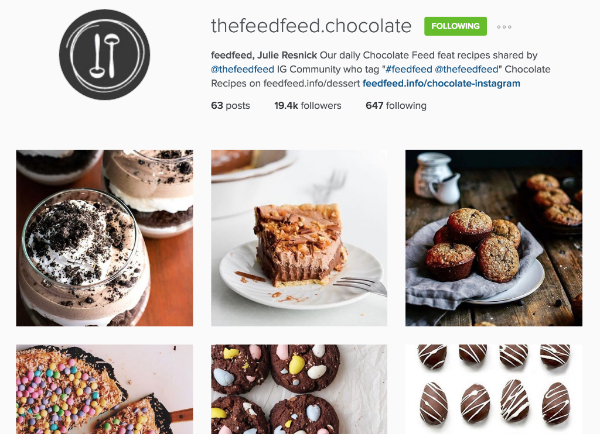 Follow along @thefeedfeed.chocolate for your daily chocolate fix where we share one of our favorite recipes featuring chocolate every day! 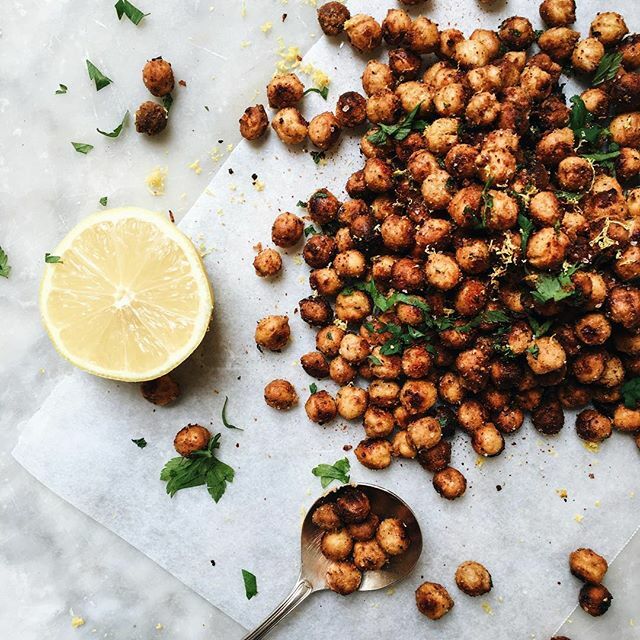 Remember to add #feedfeed to your cooking, baking & drink making social media posts for a chance to be featured on our Instagram feed & on the site.